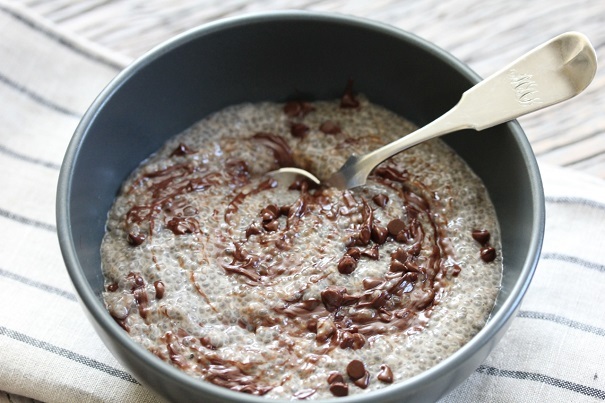 In a mixing bowl, whisk together chia seeds, almond milk, vanilla, cinnamon, stevia, and honey. 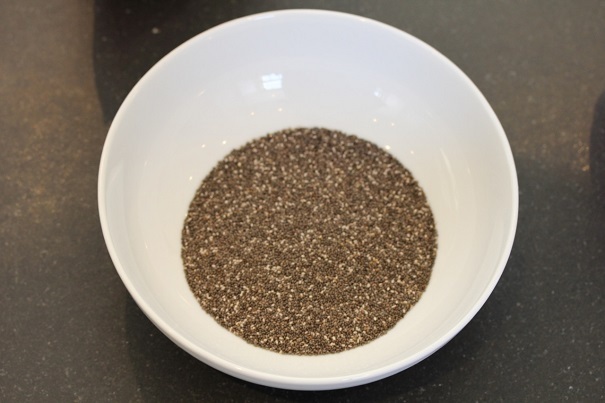 Allow to sit for 15 minutes, during which time the seeds will absorb the liquid and it will thicken. 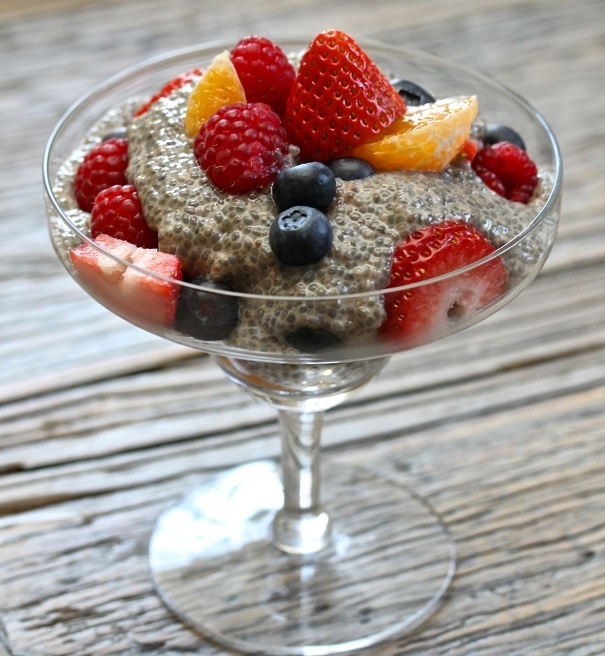 For the cold chia pudding, layer the pudding and fresh fruit in a dessert bowl and serve. 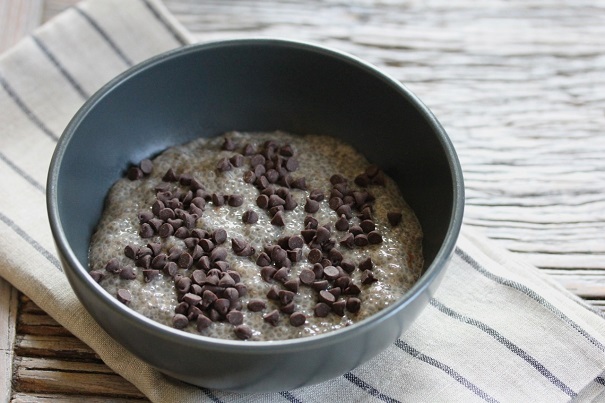 For the hot chocolate chia pudding, spoon a serving of the pudding into a cereal bowl and heat in microwave for one minute. Sprinkle a teaspoon of chocolate mini-morsels across the pudding and microwave for 30 more seconds. The chocolate will be melted and gooey, and can be stirred into the pudding for maximum flavor.